The Broke and the Bookish : Linger Giveaway Winner! Thank you to everyone who participated! We are so thankful to have so many wonderful people reading this blog. We are delighted to be hosting our first giveaway! 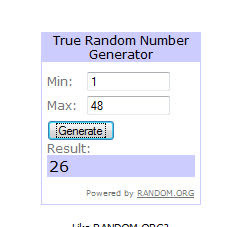 The winner was chosen by random draw. Congrats! You will be receiving an email shortly! Be on the lookout for more giveaways from this blog! Congratulations, Emily! I just got my copy in the mail yesterday and am SO excited to read it! Enjoy! Congrats, Emily! I had no idea what the book was when the giveaway was announced, so I looked it up and I'm really intrigued by the series. I'll have to get Shiver soon somehow!